I had the wonderful privilege of painting murals in a little boy’s and soon-to-be-born-baby girl’s room yesterday. It’s hard enough to decorate a room for a boy and a girl, but coming up with mural ideas? That would’ve been quite a challenge for me, but luckily Mommy already had ideas of what she wanted. When we first met she had this wonderful drawing of a rocketship. What little boy wouldn’t love his own rocketship mural over his bed? I neglected to take a picture of the baby girl’s side – shooting stars and twinkles. We set the date for yesterday, as long as Baby Girl didn’t decide to make an early arrival! I started with a chalk sketch on the wall. Chalk works great because Mommy could then see the size, position and placement of Little Boy’s rocketship and it wipes off easily. Since we decided to paint the rocketship in Silver, I started with a basecoat of White. Metallics are tricky – it’s hard to get the highs & lows you get with a matte paint. I added some Blue and Purple shading, along with White highlighting. Doesn’t the Red make the whole thing pop? We were a little leery to go with Red, but both Mommy and I loved it. I like how the Silver paint really shows the texture of the wall. Three stars on one side and waving starstreams that stretch across to the adjacent wall. The stars were painted with Gold, Pale Gold and a little of the Purple for shading. The Gold has more of a yellow cast in these pictures than in person for some reason. Using the Pale Gold, which is a soft metallic yellow, gave some nice highlights to the stars and starstreams. A growth chart for the kids that combines both murals. Mommy had a great idea to mark height – write on little stars and then glue them on the chart. Wouldn’t that be cute? Much better than plain ol’ lines, I think. Wasn’t this a cute way to decorate a boys’ & girls’ room? Not to mention one is a toddler and one will be an infant soon. Very soon! Have a safe, healthy delivery, Elizabeth! This gives me an idea. I never have pictures of babies after I paint a nursery mural. You know how OBGYN’s have picture walls of all the babies they deliver? Maybe I’ll start a little file of babies in front of their murals. Fun, huh? Do your kids share a room? How did you decorate? Do you have some tips and ideas to share? We’d love to see your pictures! Ready to go bloghopping? 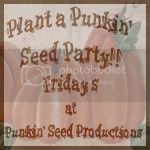 Check out all these great linky parties. Loving this!!! It’s just so whimsical and a great job, girly!! 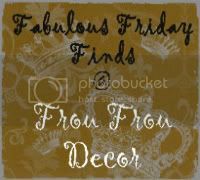 Thank you for linking it up to my party at Frou Frou Decor! Have a great weekend!! Soo cute! You did such a great job! The Rocket ship looks amazing, I agree about the red. It really looks great! Loving the stars for the little girl, how special that they each have a little mural. What a fun job you have. Decorating rooms for children must be one of your favorites. I’m sure the children will grow up loving their murals. 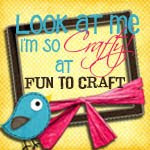 BTW, thanks for stopping by my blog via Frugal With a Flourish. Colleen….what a great way to pull a boy’s and girl’s room together. I know it was hard with the ages too but as always you pulled it together awesomely!!! Adorable! That is such a great way to make a dual bedroom special for both kids! Love it! adorable come on over and link up to MMM! Cute room! Love this idea!